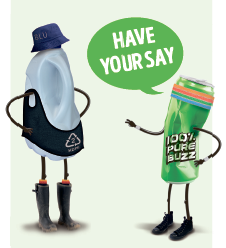 96% of the responses thought that the Council should be doing more to reduce, reuse and recycle waste in Hamilton. 50% of responses thought that the Waste Plan covers the work that the Council needs to do on waste management and minimisation. Hamilton City Council is seeking feedback on its proposed Waste Management and Minimisation Plan 2018-2024 (Waste Plan). The proposed Waste Plan will guide all the work the Council does in managing and minimising waste in Hamilton. Hamilton’s vision for managing rubbish and recycling. The outcomes we are seeking to achieve in the short and medium term. The actions the Council propose to take over the next six years. The Council has considered the proposed Waste Management and Minimisation Plan 2018-2024 and determined it is consistent with the requirements of the Waste Minimisation Act 2008. Last year the Council asked Hamilton residents what changes they think should be made to the kerbside rubbish and recycling service. Your feedback has informed the choices we’re currently making on your kerbside collection service. This Waste Plan lays out Hamilton’s overall intentions on how we deal with all of our waste as a community now and into the future. You can read the Statement of Proposal or the Proposed Waste Plan at Related links below. We all generate rubbish and recycling through our daily activities, at home, when we are at work and when we are out and about. We should all have a say in what happens to our waste and the Waste Plan is the best place to have your input. We want your views so we can ensure we have the right plan in place for Hamilton for the next six years. Consultation period is 9 October to 19 November 2017.